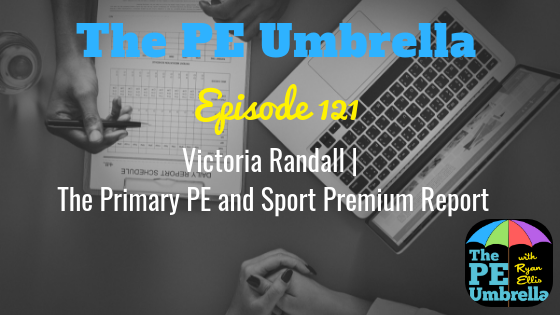 Welcome to episode 122 of The PE Umbrella Podcast, the only Primary PE podcast in the world, as we talk ALL things Physical Education. 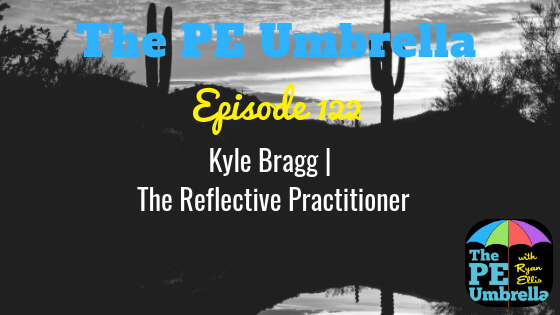 In this episode, I am delighted to welcome Kyle Bragg back to the show for some Elementary PE discussion. Kyle is a National Board Certified (NBC) teacher and takes great pride in his achievements. He works incredibly hard, reflecting on his teaching to ensure that his students always get the best possible experience. It was a pleasure to speak with Kyle on this episode about his teaching journey and how he had progressed as a teacher in the past few years. During this episode, Kyle touches upon the importance of building strong relationships with the students you teach, as a means to build respect and a solid foundation for learning to take place. We also discuss student voice/choice in the PE setting and how this has also been a contributing factor in allowing him to make better connections with his students. On top of all of this, we talk about his worst ever lesson experience, favourite warm-up game, top class management tip & one piece of equipment that he simply could not live without! So what are you waiting for? 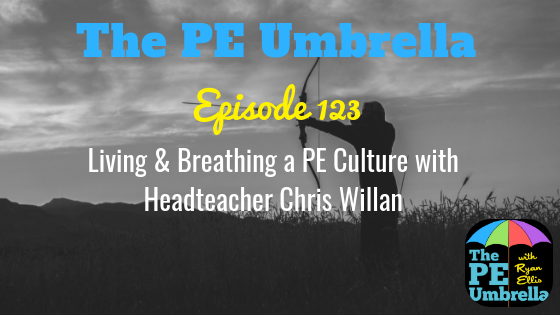 Come and join us Under the PE Umbrella!